Oh that was beautiful. I'm all weepy. I can hardly wait to hug you both and experience the new normal. As Marion likes to quip when faced with philosophizing: " That's an awfully deep subject for such a shallow well." and I know the complexity of all that this experience has brought to your plate is quite difficult to wrap your minds around...even the good news. George is right. all is well when you feel "right" or content within your inner self. Happy painting and blogging and living. I think that was as" close to who you are as you really are" as you can get. Thanks for that window of reality into mortality. Welcome Home! I loved this so much; i'm still crying. Thanks for sharing Wendy. Can't wait to see y'all whenever the time comes. Safe travels! "...a rare mutation, discovered just last week within his disease, treatable with a simple pill, and guaranteeing his recovery." With attribution, I'm going to print it in a pretty color and tape it to my computer. Thank you, George, thank you, Wendy. Thank you, whoever found that pill. Beautifully written--one of your best--both hopeful and thankful. Welcome home! Two dear friends lost a child today. Thank you for reminding me that we all live in the moment. Some are blessed with more moments than others. Hope is the gift we can share with one another. Love you both and you are right - spending time like that is something "Big" and life changing. Use your new perspective to deepen your lives and art. I recently learned of George's medical problems. are with you. Yesterday was the anniversary of Jack's passing at 59! We all need to thank God and appreciate every day we are given. Thank you, Ginger. 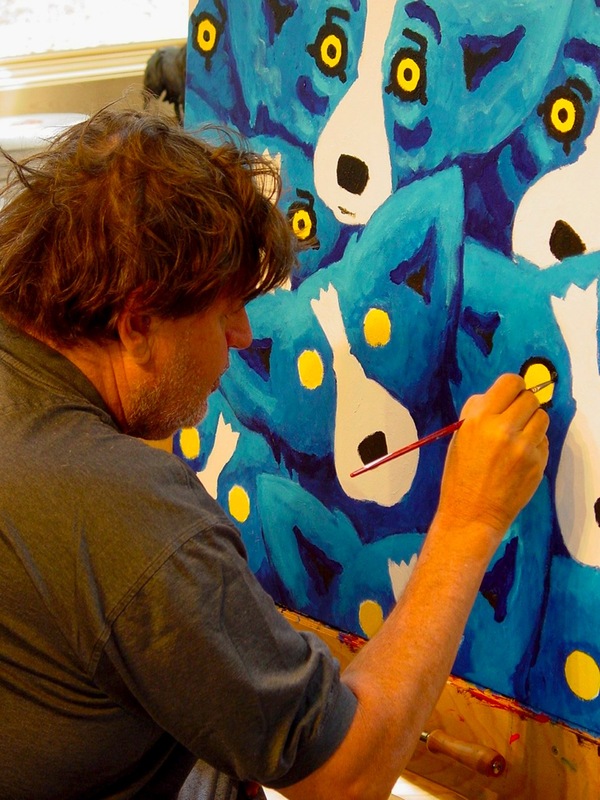 You and Jack were among George's earliest New Orleans collectors of Blue Dog paintings. And then George and I were fortunate enough to get to know you as friends. We hope to see you soon. So glad that George is on the road to recovery. The Lord of the Rings video was fitting when the lady said to the young boy Whatever happens, stay close and I will not let anything happen to you. We'll I guess that is just a fine description of how you and George are to each other, aka LOVE. Tell George I said hello. Thank you, Jay. Our best to you and your family. I will definitely give George your regards. When I first found your blog, and discovered you were in Houston for a time, I didn't realize the circumstances. I lived and worked in the Medical Center for a time - it's a place of miracles, every day, whether cures are found or not. I followed the link you provided to those earlier days, and the role of chemicals in George's illness. It struck me, hard. I gave up one kind of life for quite another 22 years ago, and for all of those years I have been varnishing boats. Five years ago, though I wasn't ill, I had a sense that I needed to stop doing interior work in favor of exterior brightwork. Obviously, my sense of things was right - perhaps more right than I realized. My best to you both. Home is a great healer. I'm glad you're there. Wendy: So sorry for the trials George (and you)are going through. James 1:12 tells us "Blessed is the man who perseveres under trial, because when he has stood the test, he will receive the crown of life that God has promised to those who love him." Love your attitudes -- they are 90% of the fight. I was so excited when I read that you two were coming to Amarillo. What an honor it will be to have you here. I look forward to meeting such inspiring people and hope to bring my grand daughter, a young teen with aspirations to do something she loves as I do...art. I hope you find that Amarillo has some of the most friendly people around and you enjoy and remember your time here. Hi Mary, Well, you're among the first to know, as George and I face facts this morning that he is not yet well enough to travel. This is the only opening we've ever missed - and we could not have been more excited to see the wonderful museum and folks of Amarillo, Texas. Although on the mend, George is simply not yet well enough to travel. 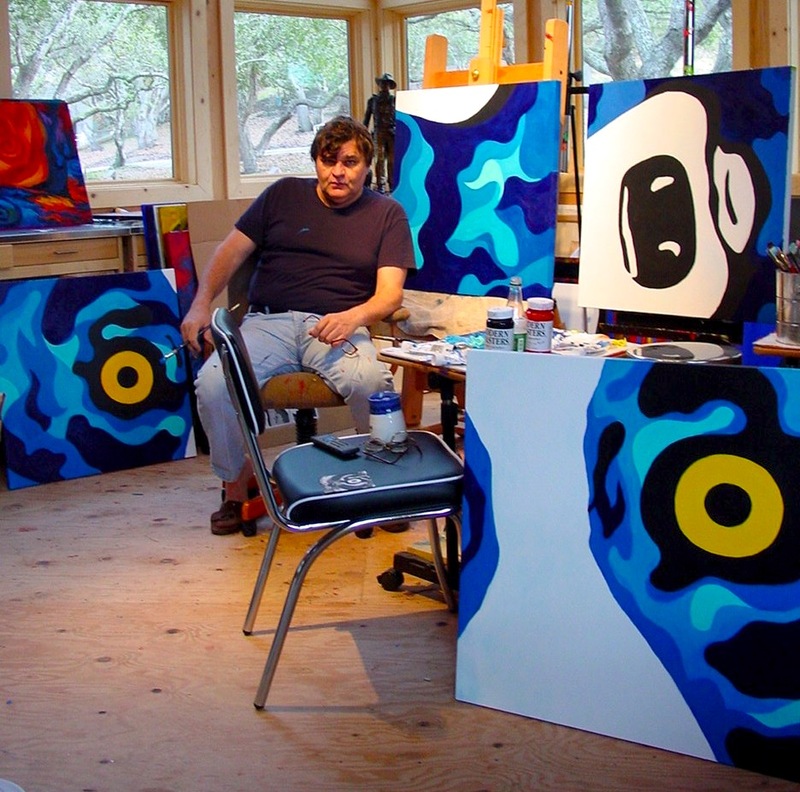 His son Jacques Rodrigue will present in his place. Jacques represents his father well - and today, August 10, happens to be his birthday! Hope you, your granddaughter, and your community enjoy "Blue Dogs in Texas." So sorry he is still not well. I send my positive, spiritual thoughts to the both of you. You will be missed here. you put into words so beautifully what we survivors feel. continuing to live while over 40 of my friends (some older, some younger) were diagnosed, battled and didn't survive, for me a humbling, grateful, guilty, thankful feeling. It is one that is really hard to understand by those who have not experienced it. thank you for your beautiful words. All the best to you and your hubby. He obviously has things left to do. I too have been a patient in Houston. And many hospitals since. I understand how time came seem to stretch beyond one's self. If I could take this on from Mr.George . (and you) I most certainly would. 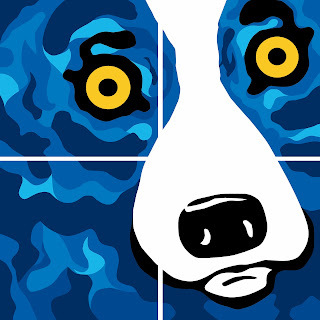 My Cajun Silkscreens & my beloved Blue Dogs give my spirit peace. George through his work has graced my life since 1990!